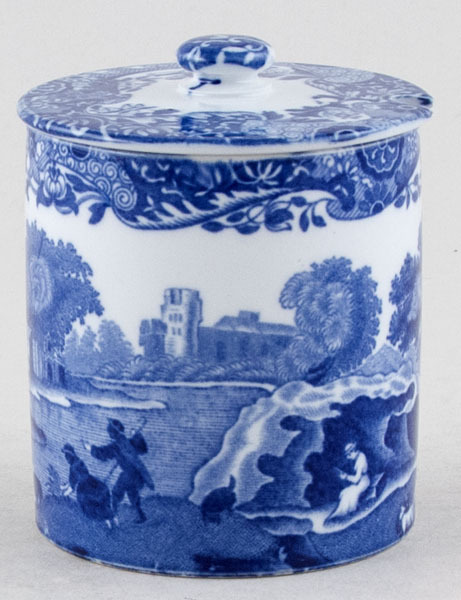 Delightful small straight sided cylindrical pot with lid which has a cut out for a spoon. Backstamp: Copeland Spode's Italian England. The pot is crazed with a little discolouration inside and underneath and to the rim a small minor manufacturing fault. The lid is in excellent condition.